Dyeing your hair in crazy colors is the IT trend that has been in vogue for ages, and from the looks of it, it doesn’t seem like this trend is going anywhere anytime soon. Let’s face it, changing your hair color in a funky shade gives you an opportunity to change your appearance for the better. It is also a great way to express your mood. Above all, it is a stylish trend that every woman at some point in their life wants to try for fun’s sake. 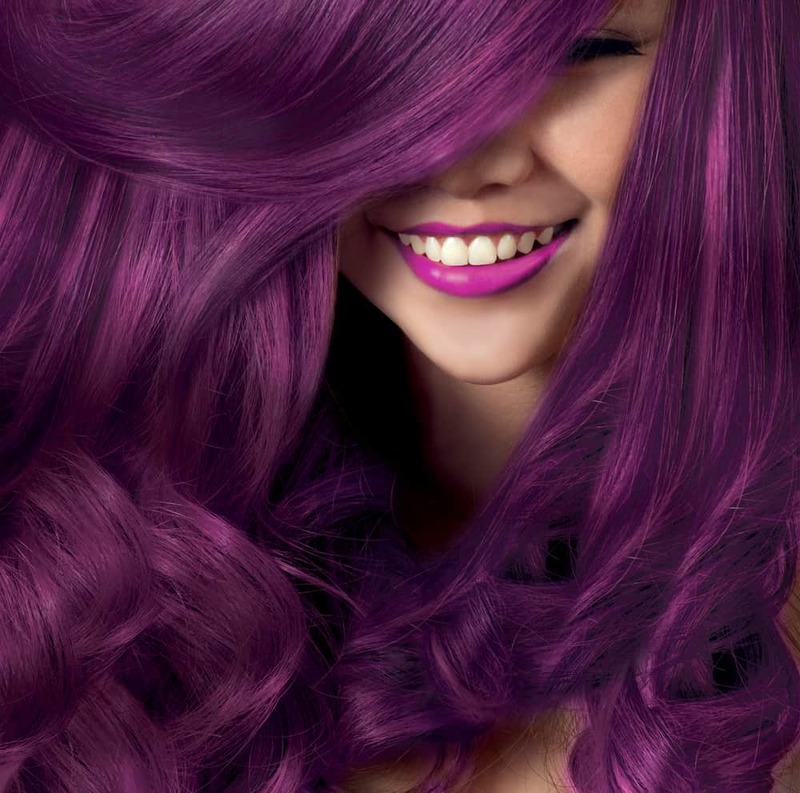 So a hair color that has taken the hairdressing world by storm is none other than purple! Depending on the shade, this unique hair color looks great on all skin types. For instance, women with fair skin can go for pastel purple color while women with a darker skin tone will look gorgeous in dark purple or brownish purple. Whichever purple shade you dye your hair in, remember that you will need to look after it 10x more than you did before. 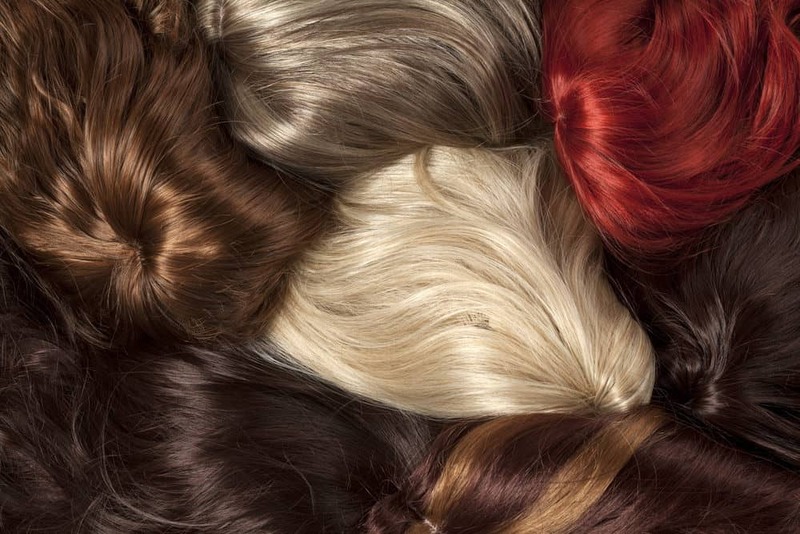 Colored hair requires additional care due to the choke-full of chemicals that go into the process of a hair dye. This is why we recommend shampoos that are specifically designed for purple colored hair. So here goes the list! Using shampoos specifically made for colored hair can make a huge difference to your hair as it helps maintain the vibrancy and vitality of your hair. 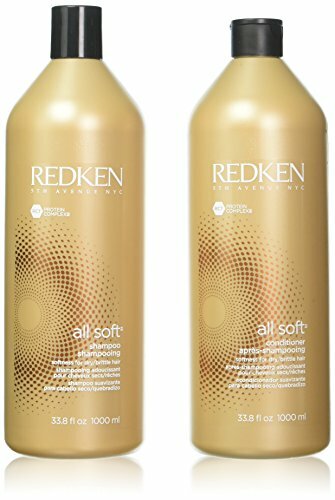 For your at-home hair care routine, we will advise you to use Redken All Soft Shampoo. Normally, it is suggested to wash colored hair once or twice a week. But with this color treatment shampoo, you can shampoo your hair daily without spotting any signs of discoloration. That’s because Redken All Soft Shampoo helps make the color stay for a longer period of time. But that’s not it. This amazing shampoo also strengthens the hair and protects it from harmful environmental conditions such as harsh UV rays, pollutants, etc. The main ingredient of this shampoo is argan oil, which is popular for softening damaged hair and making it smooth. The application of this shampoo is similar to other kinds of shampoos. All you have to do is wet your hair and lather on a good amount of it in your colored hair roots and strands. Then thoroughly rinse your hair and dry it with a towel. While this shampoo is slightly steeper than other shampoos, it is totally worth the cost! In some cases, freshly done purple hair leaves the hair dry and dead. Initially, it may seem almost new, fresh, and shiny but if you do not take care of it properly, it usually becomes drier than ever before. You will start to notice your hair losing its vitality, and some women even complain about hair loss post their hair dye treatment. Why does that happen, you may wonder? Well, experts say that when you color treat your hair, it is stripped of all its natural oils. The ends of your hair become brittle and super frizzy overall. The continuous use of your shampoo will make your purple hair drier due to the harsh chemicals involved. And trust us, those heating tools such as your hair dryer will be of no good; it will only go further downhill from there. 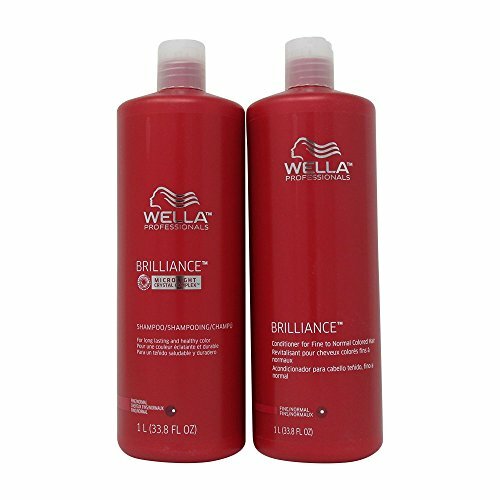 To ensure that you don’t face a similar fate, we recommend you to try WELLA Brilliance Shampoo & Conditioner. After every wash, both the shampoo and conditioner will keep your purple hair smooth and silky. These products are formulated with vitamin E, which helps protect the hair from discoloration and long-term damage. 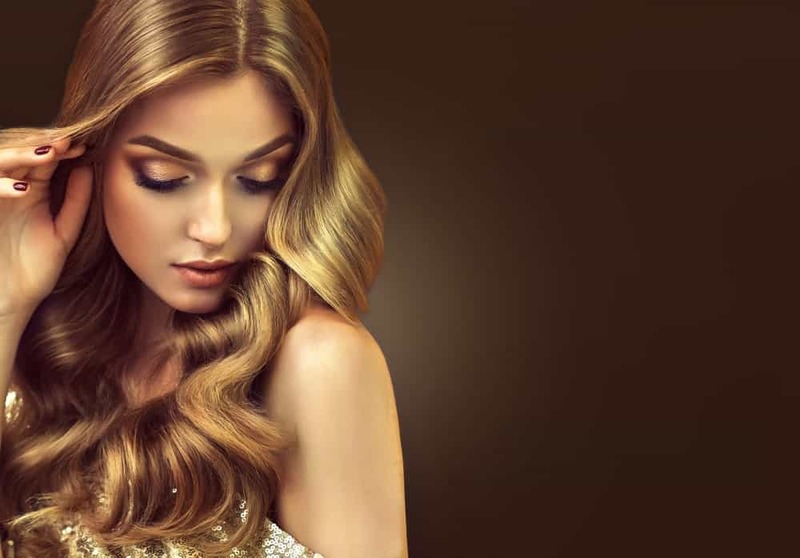 Its main ingredient that does wonders to hair is Diamond Dust as it makes your hair shine like a diamond and nourishes to prevent it from weighing it down. In short, this luxurious good offers three benefits to its user – moisture, shine, and protection of the purple color. With the use of this shampoo twice a week, you will love to flaunt your fine purple hair wherever you go. One of the common issues women with purple hair face is the fading of the color. While the color fading doesn’t happen all at once,it starts to show as time goes by. With time, the color starts to become lighter and then there comes a point when it completely washes out. This disappointing result makes the user unhappy and dissatisfied; some of them go to the lengths of getting this hair color done all over again. Please note that not everyone has enough spare money to afford hair color treatment ever so frequently. Instead of dyeing your hair again and again, it is far more sensible to find a solution for the discoloration of purple hair. This is why we suggest Nexxus Color Assure Shampoo. This product is well-known for protecting your hair from premature fading and bringing out the vivacity in the color. The sulfate and silicone free shampoo also produce a creamy lather that preserves the color of your hair and avoids your hair from getting dry. While it is hard to prevent high pigmented colors from fading away, you can still try it by washing your hair only once or twice a week. To succeed in doing so, you should invest in a color-friendly shampoo; one such shampoo is Dove’s Dry Shampoo. Experts often recommend washing purple dyed hair with a dry shampoo as it prevents hair cuticles to open up and fade away quicker than its due time. 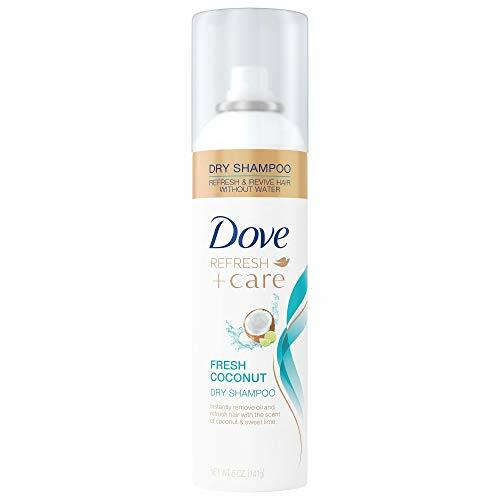 Among the best dry shampoos, Dove’s Dry Shampoo will be your best bet. The product helps revive and freshen up the hair instantly as it quickly absorbs the oil. Its application also produces a light coconut scent that may remind you of the beach. This shampoo also eliminates the oil from your unwashed hair and makes it super easy to manage it. The right way to apply Dove’s Dry Shampoo is by first separating your dry hair into manageable sections. Hold the spray at a distance of 8 to 10 inches from your head and spray it in short bursts. Make sure that you have vigorously shaken the spray can before using it. Evenly massage it through your hair roots to allow an even absorption of the oil. If Dove Beauty Refresh + Care Fresh Coconut Dry Shampoo is unavailable, you can go for Dove’s Volume and Fullness Dry Shampoo. It is equally great for purple hair. This plant-infused shampoo is a hair miracle that helps protect purple color by preventing it from fading over time. Its organic ingredients that are extracted from plants successfully do what other harsher-based shampoos do – fading of the color. There is no hiding from the truth that, bright colors like blue and purple are more prone to quickly fading. Aveda Color Conserve Shampoo helps inhibit the process of discoloration. 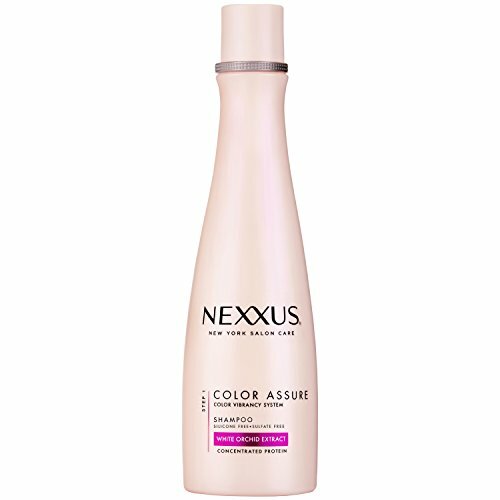 Chemicals tend to lighten the hair color, but with this shampoo, you won’t have to go through the same problem. Since Aveda consists of botanical ingredients, it prevents your hair color from washing out. It will also help maintain your hair quality, stopping it from drying out – a common hair dye problem that most women face. With the use of Aveda Color Conserve Shampoo, you won’t have to worry about split ends and frizzy, dull hair. 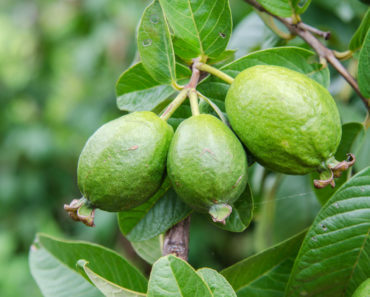 Its key ingredients include Babassu betaine which acts as a cleanser, guar bean as a conditioner, wintergreen and cinnamon bark oil as sunscreens. It also contains antioxidants like vitamins A, C, and E that helps keep hair strong and healthy and prevent follicles from shrinking away. What’s more amazing is the fact that this color-protecting shampoo has the pleasant smell of grapefruits and lavender, which can be stimulating during a morning bath. When it comes to protecting color-treated hair, washing it with color-friendly shampoos is a must. In addition, you need to take extra measures that are important for the protection of your purple pigmentation such as avoid washing your hair with hot water, using color-protecting conditioners only, staying away from the swimming pool, and avoiding the use of heating tools like a blow-dryer, straightener, or curler. 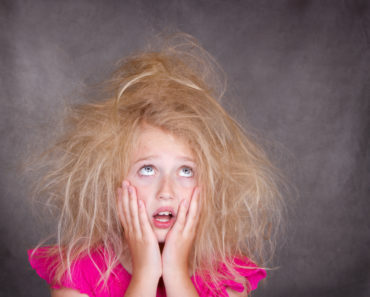 10 Top Shampoos for Thick Hair – Do You Know Them All?